In honor of this week’s National Bowtie Day (celebrated each year on August 28th), Bradshaw Automotive is looking into the history of Chevrolet’s iconic emblem. Officially debuting in 1913 on two Chevrolet models, the 1914 H-2 Royal Mail and the 1914 H-4 Baby grand, much mystery surrounds the actual origin of the Chevrolet Bowtie. While the most widely accepted story claims that Chevrolet co-founder William C. Durant was inspired to adopt the bowtie design after seeing the pattern on his hotel room wallpaper in Paris, France, several other items have been cited as the emblems inspiration, including a newspaper advertisement , the Swiss flag and a dinner-table doodle made by Durant himself. Over the past 100 years, the Chevrolet Bowtie has adapted to the times, going through a wide range of styles and changes that eventually led to the gold version we all know and love today. To learn more about the classic symbol in all its variations, check out Chevrolet’s interactive bowtie history! Bradshaw Chevrolet Buick GMC Cadillac wishes you a happy National Bowtie Day, and hopes you celebrate the holiday in a Chevrolet vehicle! Don’t have a Chevrolet to celebrate in? Contact Bradshaw’s sales department at (864) 416-739! We offer a great selection of new and used Chevrolet vehicles for buyers in Upstate South Carolina. Don’t forget to follow Bradshaw Automotive on Twitter, Facebook and Google+ for more Chevrolet history and dealership news! Chevrolet compact car and small car sales have increased by over 229 percent in the last 3 years, according to a recent General Motors press release. 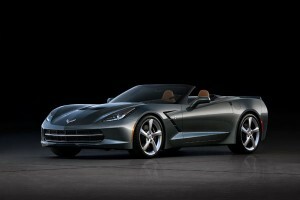 This dramatic increase represents Chevy’s increasing appeal to drivers under the age of 35. Sales of small vehicles like the Cruze, Sonic and Spark, all very popular first-time-driver cars, have shown increases over the past few years. A quarter of all new Sonic and Spark buyers is under the age of 25, while almost 40 percent of “millennial” drivers look to compact cars as their vehicles of choice. 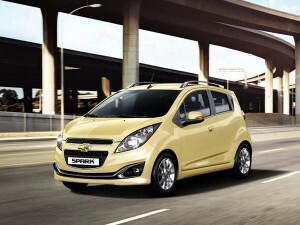 Many factors have led to Chevrolet’s young-driver appeal, including fuel economy and technology features. 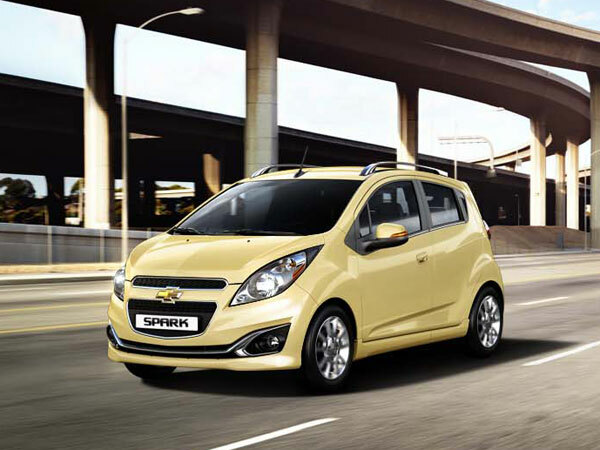 Bradshaw Chevrolet Buick GMC Cadillac is proud to announce Chevrolet’s continued success with younger drivers, and welcomes first-time drivers and shoppers of all ages to visit our dealership and test drive a brand new Chevrolet Spark, Sonic or Cruze. We also offer a great selection of used vehicles in various models and makes! For more Bradshaw information, and Chevrolet, Buick, GMC and Cadillac news, be sure to check out our dealership on Google+! Most new cars have a screen display that can be used to do just about anything you’d want to do in a car other than drive. They’ll show media information for the radio or your MP3 device, offer access to Bluetooth and GPS, give you control over specific car configurations ranging from the air conditioning to the suspension, and more. Over time, display screens have become somewhat of a mixed blessing, as the increased complexity and sheer scope of what they can do has plagued some in-car technology systems with usability issues. The advanced cluster display in the new 2014 Corvette Stingray aims to find a solution by offering “themes,” 10 different configurable display features designed to fulfill different drivers’ expectations from the display—and, at the same time, enhance the driving experience. The main three themes are Tour, Sport, and Track. Tour mode provides essential vehicle information and multimedia displays for commuting drivers; Sports mode features a radial tachometer designed to recall the classic sports-car experience; and Track mode puts an emphasis on information vital for a successful track outing. Other themes include a lap timer, an acceleration timer, and a G-force indicator. Check them out at the Bradshaw Chevrolet Buick GMC Cadillac dealership in Greer, SC, to see what it’s like to drive one of the most iconic sports car in America. Nowadays, many car reviews find niche categories by which to classify new cars. Maybe you’re a student returning to school in a few weeks? Check out this list of the best “Back to School Cars.” If you’ve got kids, there are endless lists for the best family cars on the market. Bank robbers even got a recent shout-out from Cars.com in its “Top 10 Bank Heist Cars” list! The most recent Edmunds car list, however, is short, sweet and to the point: “The 17 Best Cars You Can Buy.” The review sums up the absolute best car in each market segment, without any extra frills. 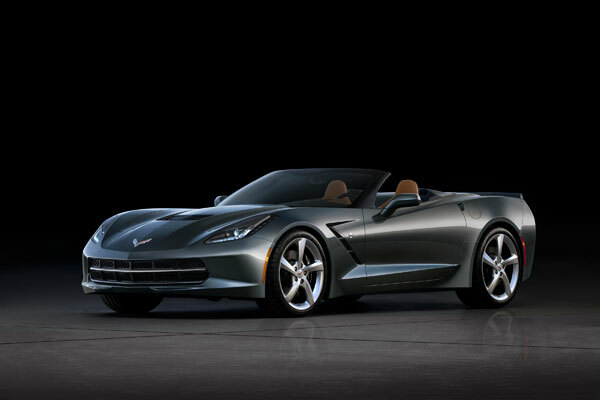 The simplicity of this review makes it even more important that the 2014 Chevrolet Corvette was named the “Best Sports Car” for this year by the respected review site. Citing the car’s top performance, incredible design and incredible feel, Edmunds was quick to name the Corvette as the top spot in its segment. 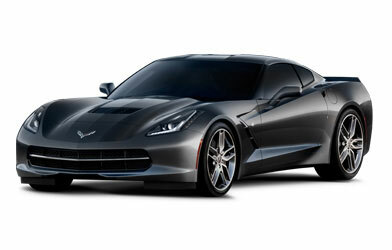 Bradshaw Chevrolet Buick GMC Cadillac is proud to announce that the Corvette continues to break ground year after year! To learn more about brand new Chevrolet cars, including the all-new Impala and Silverado, contact us today!